Natural Health Magazine Beauty Awards 2009. Winner - Best Value Skin Care Range. Are you starting to notice fine lines and wrinkles? Is your skin, starting to loose elasticity? Is your skin tone dull and uneven? 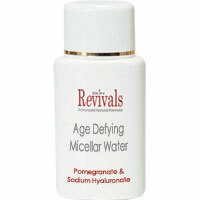 Do you wish that you could have your radiant youthful look back again? This highly effective range of skin treatment and serums has been developed to address all these problems and help to give skin a youthful, radiant appearance. Formulated from naturally derived, proven ingredients to help fight lines and wrinkles and restore a smooth, even skin tone. Skin Revivals Anti-Ageing treatments are complimentary to your daily skin care routine and are suitable for all skin types. Each product offers targeted solutions to specific skin care problems. They are highly concentrated and have been created to take advantage of the latest developments in dermatology and with plant based compounds that have proven anti-ageing benefits.